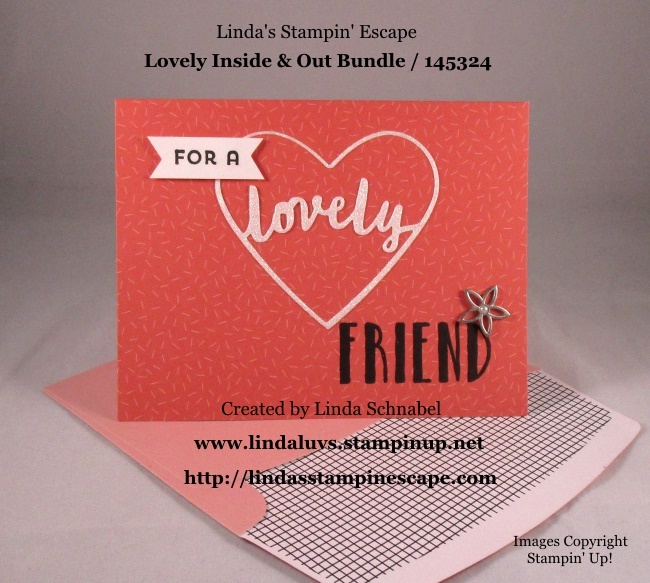 I’m back today with my third card share from the Lovely Inside & Out Bundle! These little dies are fun to play with … you are going to LOVE the simplicity of this next card. 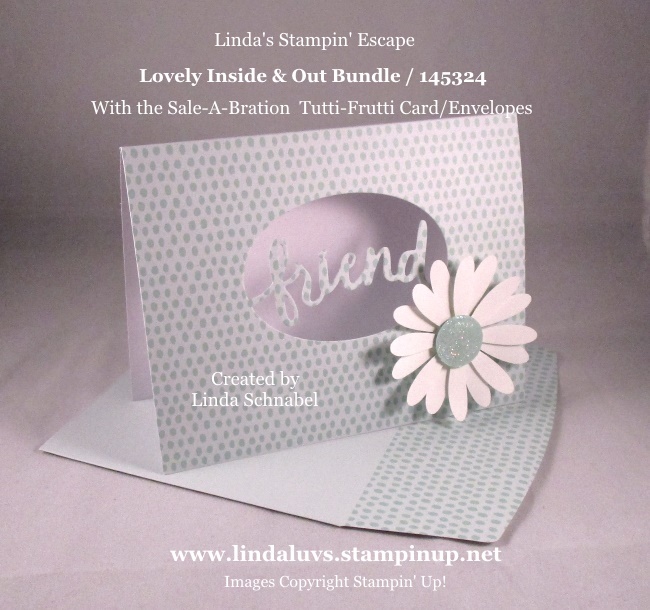 I’m using the Pool Party card & coordinating envelope from the 2018 Sale-A-Bration item: Tutti-Frutti Cards & Envelopes. Don’t forget this is an exclusive FREE item with a qualifying purchase. When cutting the oval “friend” out the way I did here, you will leave your card “open” … the way it is packed, line up the die on the front. Because this front & back are identical you could get even more cards out of this pack … Stop back tomorrow and I’ll show you how!! 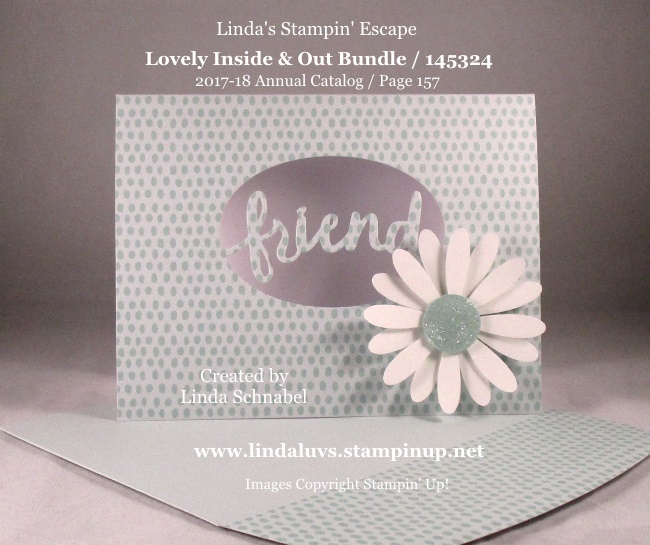 I used the Daisy Punch to create an accent and a little dimension to the card. I punched two daisies out of Whisper White, put a dimensional between them, then stamped a small circle out of Pool Party. I used the Fine Tip Glue Pen (138309) and covered the circle with glue then sprinkled it with Dazzling Diamonds Glitter (133751). Thanks so much for stopping back … don’t forget to check back tomorrow to see another version of this card that will double your card count!